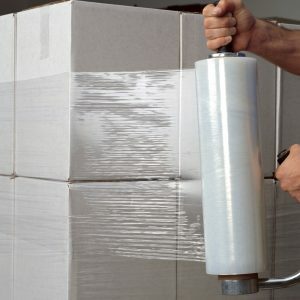 With stretch film, bundle boxes together, wrap kitchenware, protect upholstery, furniture, mattresses and much more. Wrap valuables and parts together, protect items against scratches, scuffs, dust, stains and damage during move or storage. 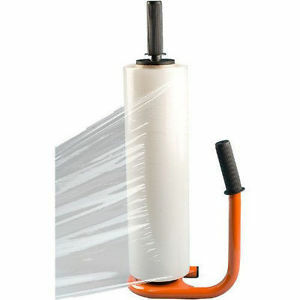 Design Packaging carries a variety of stretch film handles and dispensers, making it convenient to apply stretch film. 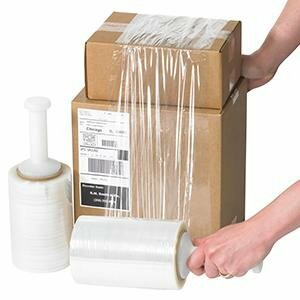 We have several dispenser styles to choose from, including easy-to-use bundling film handles. Miller Supply also carries angled stretch film blades, for effortless film cutting.